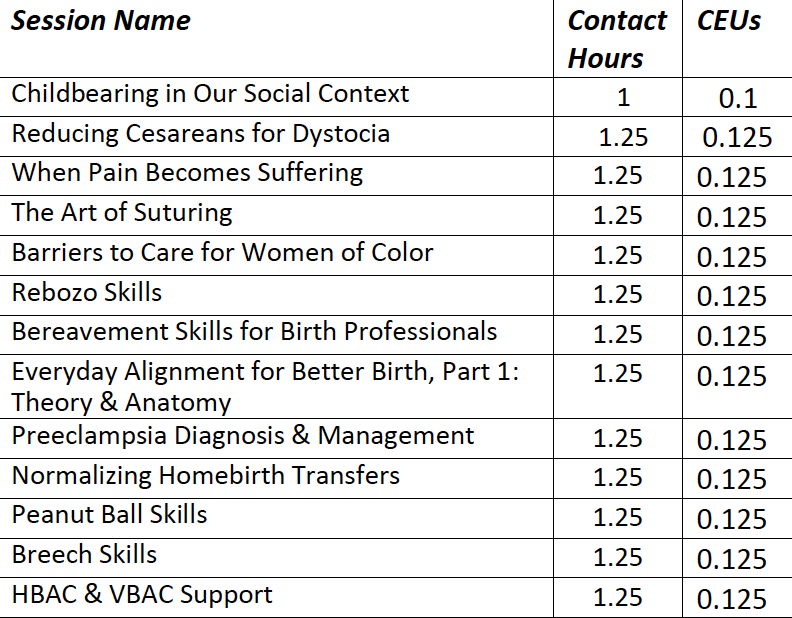 The Beautiful Midwifery conference has been approved by the Midwifery Education Accreditation Council (MEAC) for a total of sixteen contact hours, which is the equivalent of 1.6 CEUs. The total number of CEUs you can be awarded is based on the sessions that you attend. Please see below for the session title and number of CEUs available. In-person attendance at the session is required in order to receive the specified number of CEUs. At this time, ICEA and DONA certification are still in process, and details will be released here as soon as possible.